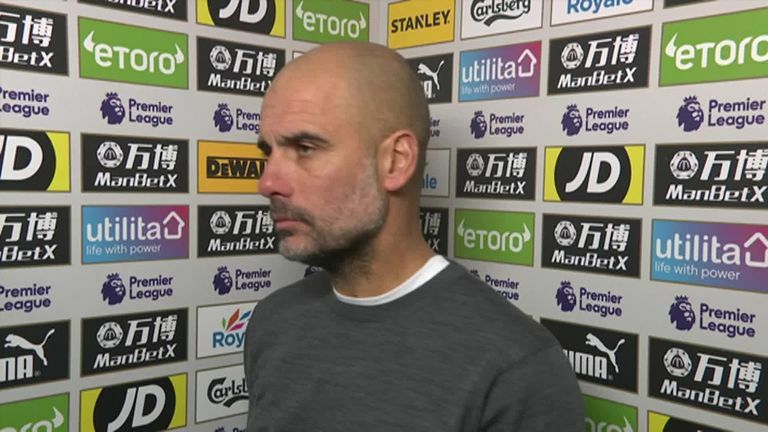 Pep Guardiola says he trusts his Manchester City players to win each remaining game after a thrilling Premier League title race continued on Super Sunday. 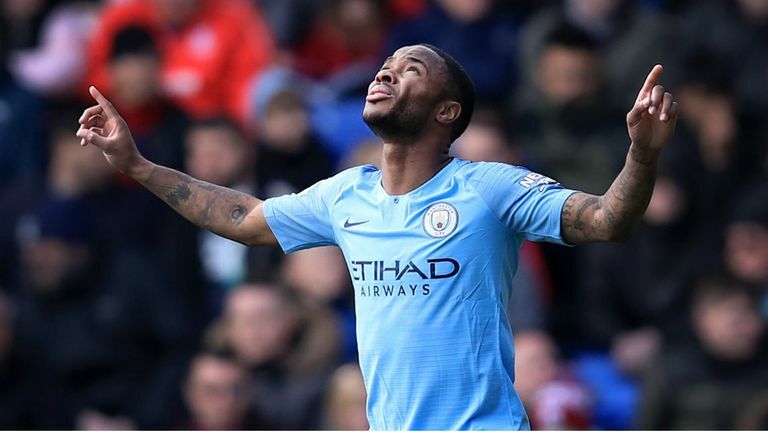 Raheem Sterling scored twice as City made it nine Premier League wins in a row with a 3-1 victory at Crystal Palace to temporarily go top of the table - before Liverpool beat Chelsea 2-0 at Anfield to return to the summit. Guardiola insists his side, who are in the hunt for a historic quadruple, are "not invincible" - but warned City's closest rivals he has no reason to doubt his players. "We played December, January, February, every three days, why should we not trust these guys to do it again? "Of course, we can lose, we are not invincible. We have weaknesses. "We have done two seasons, 183 points, with five games left, two seasons, why should I doubt what these players have done? "I never doubt my players." City are out to win the Champions League, FA Cup and Premier League, having won the Carabao Cup in February, and Guardiola conceded the pressure facing his side is immense. "It's incredible this kind of pressure. You're fighting for back-to-back Premier Leagues," he said. "We think Liverpool will win all the games. We have to win all the games. Tough games - but it's in our hands. "We want to win our five games left and think we've won two titles, not one." 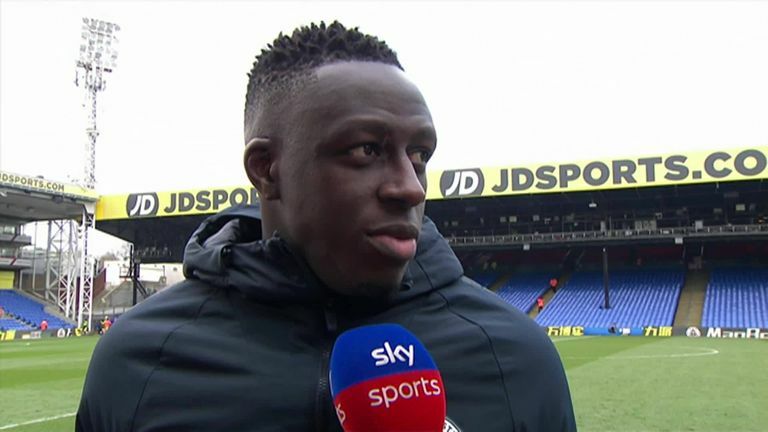 Kevin De Bruyne and Benjamin Mendy started for City against Palace after long spells on the sidelines this season, and Guardiola was happy to see key players return as City go in search of four trophies. He said: "Kevin we know, his vision, to see passes that no one else can see. And Mendy is clever with the ball. His physicality is getting better. "He's the only left-back we have in the squad, and for two seasons he's not been available." Mohamed Salah, though, thinks Liverpool will be Premier League champions if they win their remaining four matches of the season. After his stunning goal in Liverpool's 2-0 win over Chelsea on Sunday, Salah insisted Liverpool will finish top if they beat Cardiff (A), Huddersfield (H), Newcastle (A), and Wolves (H). "In my opinion, yes," Salah told Sky Sports. "We just need to focus on our game and hope Manchester City will lose points." Where will title be won and lost?